It’s official! Although Jane the Virgin has just one season left to wrap up its soapy, dramatic plots, at least one character will be returning for a spinoff in the future. Star Gina Rodriguez confirmed via Instagram that the CW will air Jane the Novela after the original series wraps and the details so far sound like this new series will be just as unique and fun as its predecessor. Rodriguez’s Instagram photo also points to some potential plot details for Jane the Virgin‘s fifth and final season. In the photo, which also features her on-screen son, Rodriguez is wearing a pregnancy belly — suggesting that her character may be pregnant again in the series’ final season. Or perhaps she’s pregnant in the spinoff? Only time will tell. Of course, the pregnancy belly could have also been just for the ‘gram. In the caption of the potentially spoilery photo, Rodriguez wrote, “We got good news from the CW! Jane will be birthing a SPIN OFF!!!!! Jane The Novelas!! !” We must admit, we’re intrigued by all of these possibilities. According to Entertainment Tonight, Jane the Novela will be an anthology-style series where each individual season is based on a different fictional novel written by Rodriguez’s character, Jane Villanueva. Rodriguez will reportedly narrate each season, in addition to co-executive producing the series with Jennie Snyder Urman, Ben Silverman, Joanna Klein and Emily Gipson. The outlet reports that the first season will take place at a Napa Valley vineyard. At this time, the CW has not announced a release date or casting details for Jane the Novela, but it’s safe to assume that the series won’t premiere until after Jane the Virgin wraps this spring. 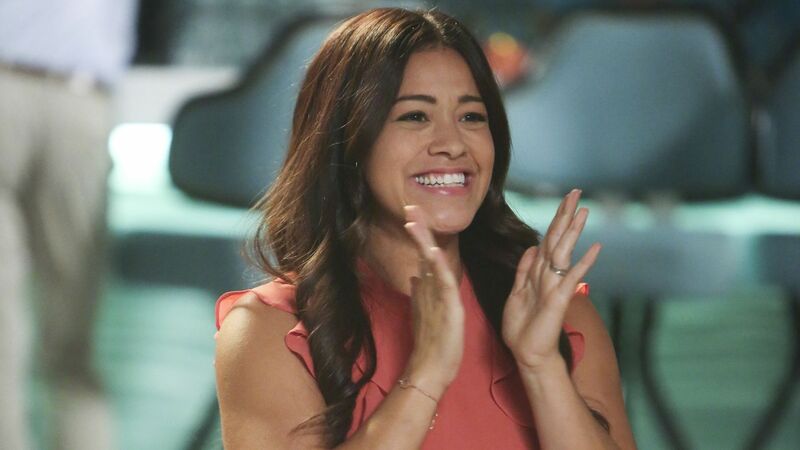 The final season of Jane the Virgin returns on March 27.